In Mistress Of Dragons, we were introduced to a world where political deception and greed have lead to a violation of the 'hands off' policy of the Parliament of Dragons concerning the affairs of men. Indeed that violation threatens more than policy and order-it threatens the freedom of the human race. 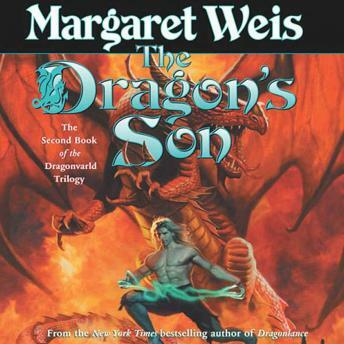 In The Dragon's Son, there is a new hope in the form of a special offspring who might be able to bridge the anarchy that is disrupting the delicate and unseen order that the Parliament has tried to protect. The twin offspring of a high priestess and a dragon hold the key to man's future but their identity must be held secret, even from each other, until they have matured. One is raised in a human court, the other in hiding. But the link that exists between the twins will not be broken by mere distance, and the duality of their origin will unlock the new hope for a return to peace and safety as long as they live to maturity. It is up to Draconas, the special emissary of the Parliament, to make it happen for the sake of both Dragonkind and mankind alike despite the evil forces that are still gaining strength around them.